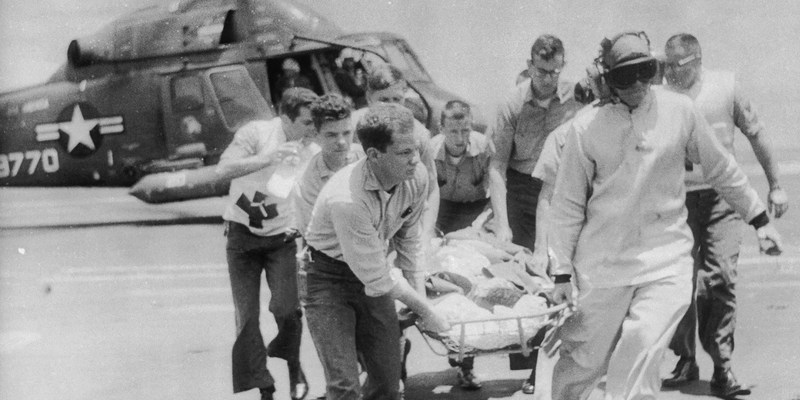 Top photo: A victim of the Israeli assault on the American communications ship USS Liberty is carried from a helicopter aboard the aircraft carrier USS America somewhere in the Eastern Mediterranean on June 9, 1967. On June 8, 1967, an Israeli torpedo tore through the side of the unarmed American naval vessel USS Liberty, approximately a dozen miles off the Sinai coast. 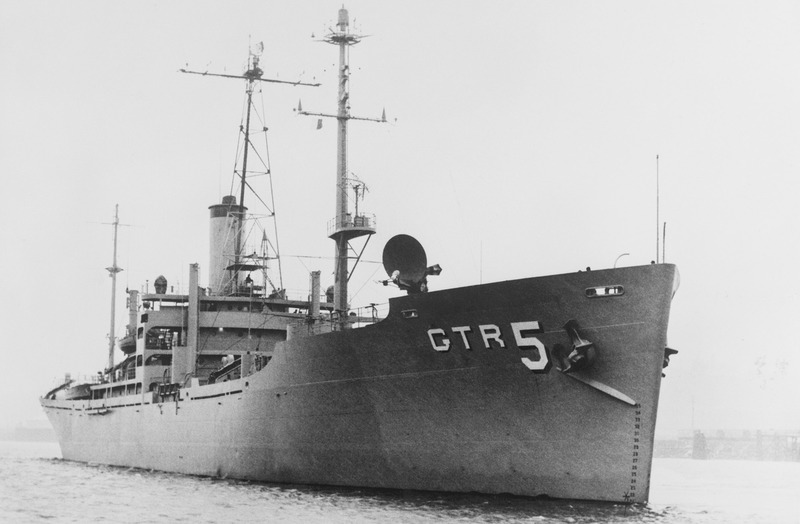 The ship, whose crew was under command of the National Security Agency, was intercepting communications at the height of the Six-Day War when it came under direct Israeli aerial and naval assault. Reverberations from the torpedo blast sent crewman Ernie Gallo flying across the radio research room where he was stationed. 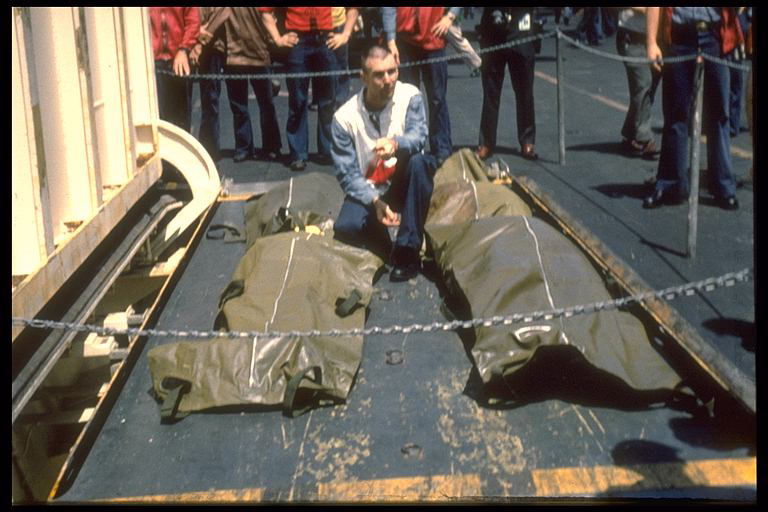 Gallo, a communications technician aboard the Liberty, found himself and his fellow shipmates in the midst of an attack that would leave 34 Americans dead and 171 wounded. This week marks the 50th anniversary of the assault on the USS Liberty, and though it was among the worst attacks in history against a noncombatant U.S. naval vessel, the tragedy remains shrouded in secrecy. The question of if and when Israeli forces became aware they were killing Americans has proved a point of particular contention in the on-again, off-again public debate that has simmered over the last half a century. The Navy Court of Inquirys investigation proceedings following the incident were held in closed sessions, and the survivors who had been on board received gag orders forbidding them to ever talk about what they endured that day. Now, half a century later, The Intercept is publishing two classified documents provided in the cache of files leaked by NSA whistleblower Edward Snowden related to the attack and its aftermath. They reveal previously unknown involvement by Government Communications Headquarters, the U.K. signals intelligence agency; internal NSA communications that seem to bolster a signals intelligence analysts account of the incident, which framed it as an accident; as well as a Hebrew transliteration system unique to the NSA that was in use at least as recently as 2006. The first document, a formerly unreleased NSA classification guide, details which elements of the incident the agency still regarded as secret as of 2006. The second lists a series of unauthorized signals intelligence disclosures that have had a detrimental effect on our ability to produce intelligence against terrorist targets and other targets of national concern. Remarkably, information relevant to the attack on the Liberty falls within this highly secret category. Though neither document reveals conclusive information about the causes of the assault, both highlight that at the time of their publication  approximately four decades after the incident  the NSA was determined to keep even seemingly minor details about the attack classified. The agency declined to comment for this article. The classification guide, dated November 8, 2006, indicates previously unknown GCHQ involvement in the ships intelligence gathering. The specifics of this involvement remain classified, and it is therefore unclear if involvement was of a material nature on board the ship or through other means. GCHQ declined to comment. The guide also reveals NSAs own classified Hebrew transliteration system, the existence of which underlines that the agency has historically counted Israel as an intelligence target even as the nation acted as a key partner in signals collection. This inherent tension in the U.S.-Israeli relationship was also manifest on the Liberty, where the Hebrew translators brought aboard the ship were referred to as special Arabic linguists, according to journalist James Bamford, in order to conceal their surveillance of Israeli communications. Israeli planes and torpedo boats attacked this U.S. Navy research ship, the USS Liberty, in the Mediterranean Sea near the Sinai Peninsula on June 8, 1967. The Six-Day War between Israel and its neighbors Jordan, Syria, and Egypt was a conflict that the United States chose to stay out of, despite Israels entreaties for military support. Egypt and Syria were Soviet allies at odds with American-aligned Israel. The local conflict could easily have turned into a direct conflict between the superpowers, which neither the United States nor the USSR wanted. The countries directly involved were left to fend for themselves in what proved to be an overwhelming military and territorial victory for Israel  one that doubled the fledgling countrys size in less than a week. The USS Libertys legacy indeed fed conspiracy theories, and Bamford is not alone in asserting a cover-up. The Liberty Veterans Association, an organization comprised of survivors of the 1967 attack, has called for a robust and transparent investigation into the incident for decades, to no avail. In a statement to The Intercept, Ernie Gallo, who currently serves as the president of the Liberty Veterans Association, said, We now know that the Navy Court of Inquiry was merely for show, as the officers were told to come to the conclusion the Liberty did [its] job and the attack was accidental. Bamford also references the magnitude and length of the attack as proof of its deliberateness: The ship was hit repeatedly, first by planes dropping thousand-pound bombs and napalm, and then by torpedo boats. Israeli forces also jammed the Libertys antennas and communication channels, took out the four .50-caliber machine guns on board, and reportedly shot at life rafts and crew members as they attempted to evacuate the vessel. It was an attack in broad daylight, said Bamford. They were flying a large U.S. flag. [The ship] said USS Liberty on the back. The incident and its aftermath took a significant psychological toll on survivors, many of whom were reported to suffer from PTSD. One survivor and member of the Liberty Veterans Association, James Ennes, was shot in the femur during the attack, and was then instructed never to discuss it. Ernie Gallo had a fellow crewmate die in his arms. It was decades before survivors began sharing their experiences, and they were sometimes criticized for being anti-Semitic or slanderous of Israel for doing so. 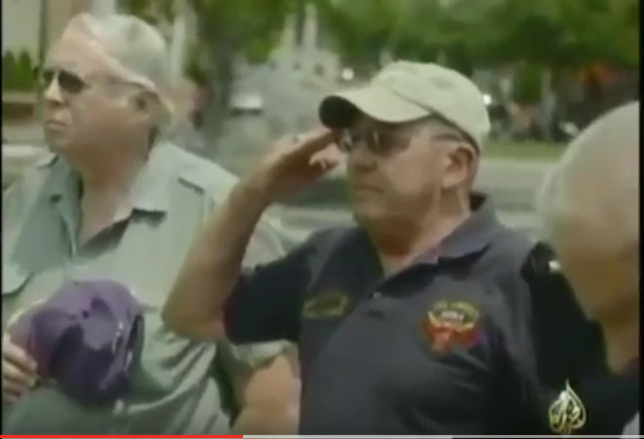 Not all veterans involved believe in a cover-up, however. Former Navy Chief Petty Officer Marvin Nowicki, the chief Hebrew-language analyst aboard a U.S. Navy EC-121 spy plane that was intercepting Israeli aircraft communications as they were assaulting the Liberty, believed the attack was an accident. He stated in a letter to the Wall Street Journal in 2001 that though he heard and recorded Israeli pilots and captains references to the U.S. flag flying on the deck of the Liberty, these remarks were made only after the attack was underway, and not before. It was when aircraft and motor torpedo boat operators moved closer to the Liberty, recalled Nowicki, that they were able to recognize and therefore reference the American flag. Even 50 years after the attack, and in a radically different geopolitical climate than that of the Six-Day War, extremely limited information is available about the assault and its subsequent investigations. Inquiries by the media and by the survivors have yielded profoundly limited results, despite considerable attempts; ABCs Nightline interviewed survivors decades after the attack, the results of which never aired. And while James Bamford presumes this is because interested parties didnt want unsavory information about Israel broadcast on mainstream American television, Nightlines then-host Ted Koppel said otherwise: At the risk of contributing to the veneer of cover-up that surrounds any discussion of the USS Liberty story, my only recollection is that we did nothing because we found nothing new or substantive. Neither, it seems, has anyone else.